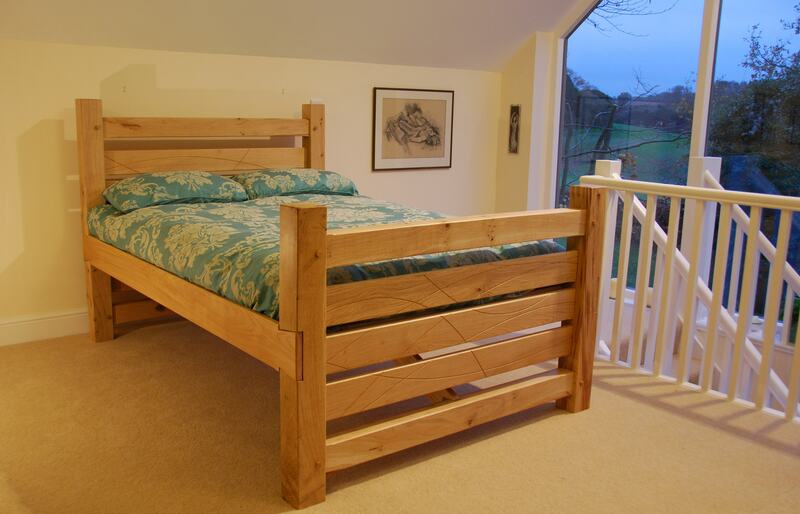 Green and seasoned oak double bed. 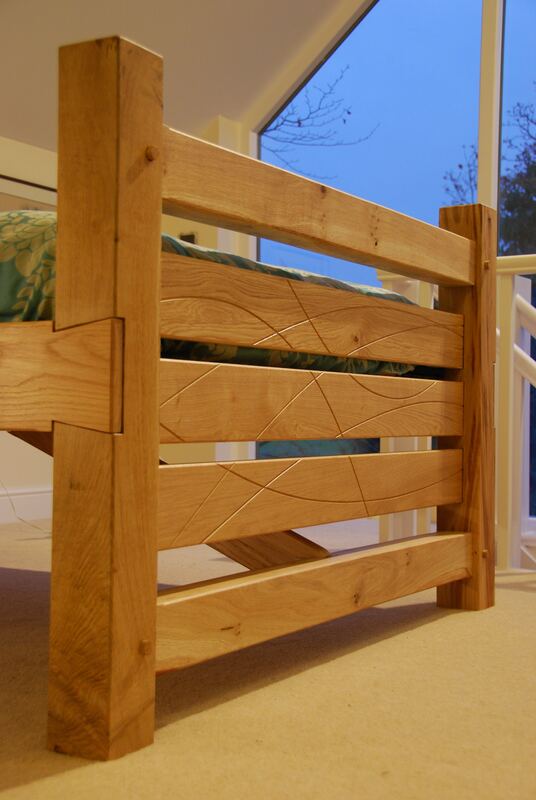 Here’s a few photo’s of a recent commission that I delivered to a couple in Oxfordshire last November. 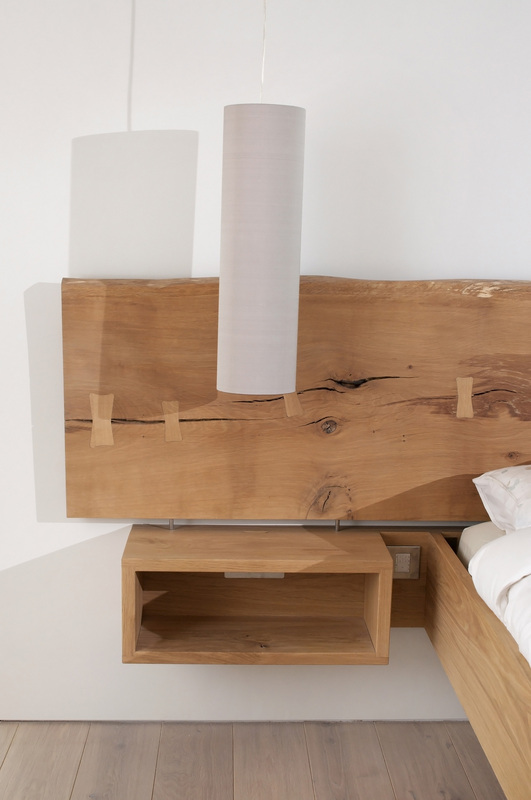 The head and foot boards are both made up of a pegged green oak frame, with seasoned oak in fills. Random curved grooves were added to the in fill boards, to great effect. 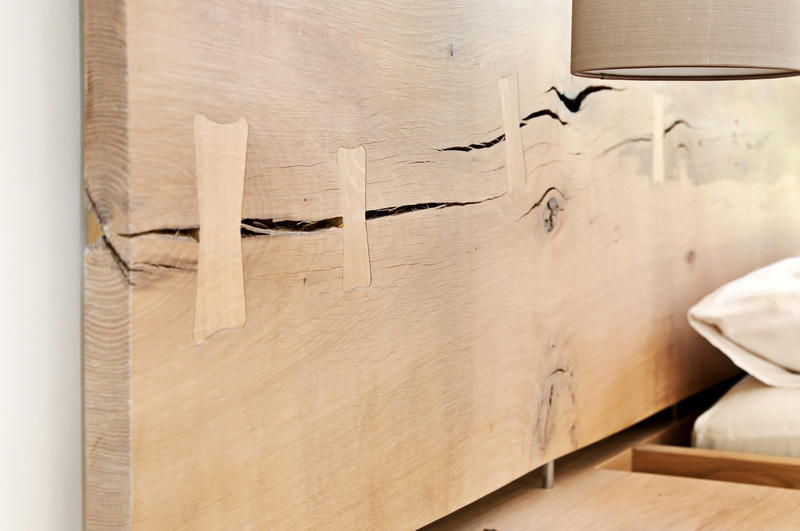 The head and foot are tied together by longitudinal stretchers, using large lapped dovetails to lock them in at either end. Diagonal bracing to the central stretcher prevent racking. 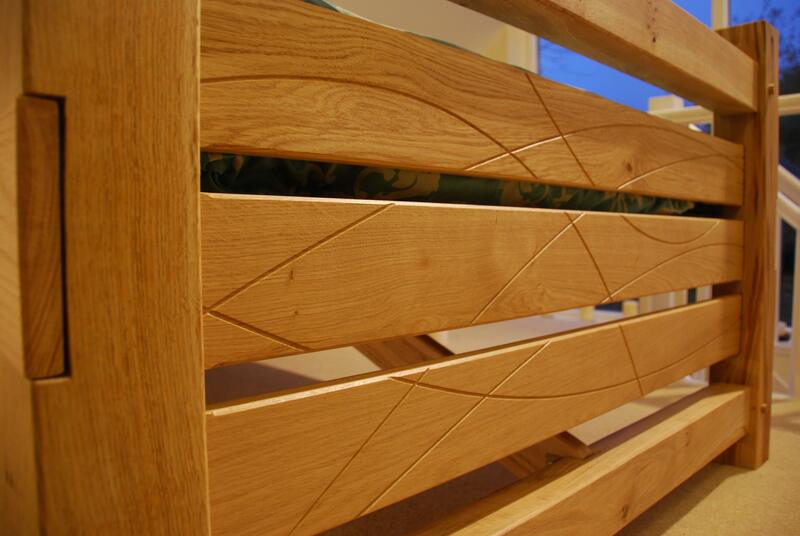 Larch slats provide a base for the mattress. 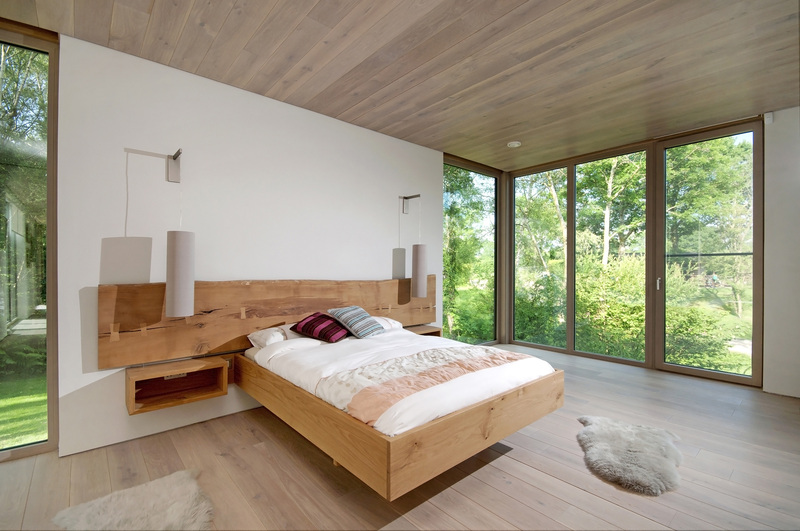 At their wedding, instead of having a normal wedding gift list, the couple asked for contributions to a furniture fund, from which they were able to pay for this bed. 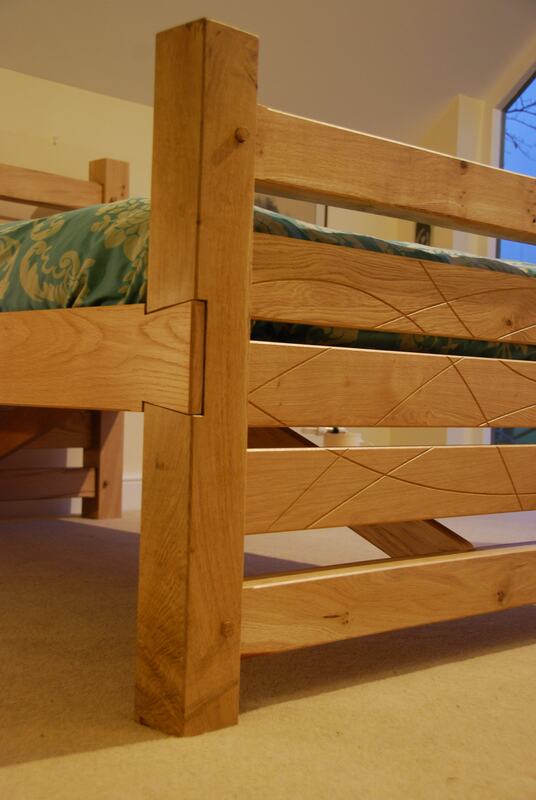 A lovely idea that has given them the opportunity to commission a unique and personalized handmade marital bed.